Originally one of my early cross stitch kits, this lovely sampler is a joy to stitch. Worked in cross stitch with a few French knots, this design does seem to grow quite quickly. 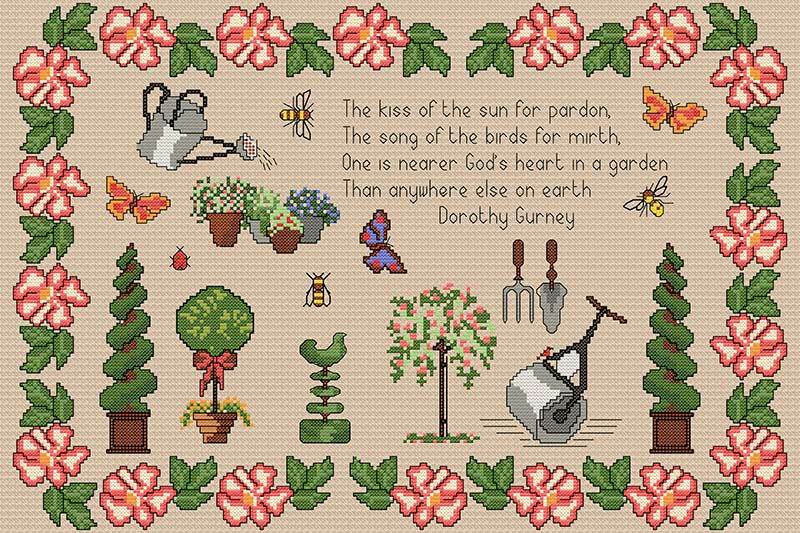 I have included an excerpt from The Garden Lovers’ poem by Dorothy Gurney - just perfect. There are a few fractional stitches but, as always, I try to keep these to a minimum. As a result, I think you might find working on linen simpler than Aida.